If we draw a graph taking the time on x-axis and displacement, velocity and acceleration on y-axis the overall graphs can be seen as below. It can be very clearly notice that there is a phase difference of 90° between displacement and velocity and again there is a phase difference of 90° between velocity and acceleration.It implies that between the displacement and acceleration, there is a phase difference of 180° when the body is in simple harmonic motion. It can be observed quite easily that at the mean position the displacement is zero, the velocity is maximum, and the acceleration is zero. At the extreme and intreme positions displacement is maximum, velocity zero and acceleration is maximum. At the mean position being velocity is maximum, the body in simple harmonic motion is tend to move towards the other positions.It moves to extreme position it will move and there its velocity turns zero.At the extreme position though velocity zero, there is a restoring force because of the acceleration which is always acting towards the center.So it will move back towards the equilibrium position and this will be keep on happening forever in ideal circumstances. When a body is in a oscillatory motion it repeats its motion about a fixed point called mean position. The time taken to complete one oscillation is actually called as time period. For a undamped oscillation it is going to remain constant. Frequency is the number of the oscillations made by a body in one second. Time period is defined as time taken to complete one oscillation. Frequency is defined as number of oscillations per one second. Frequency and time period are always reciprocal to each other. 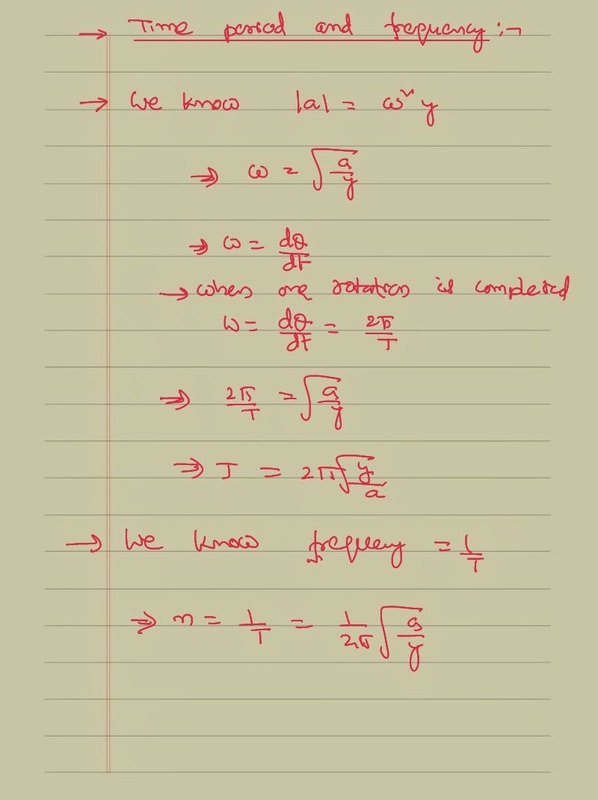 We can write the equation for a time period and frequency basing on the equations that we had derived previously as shown below. 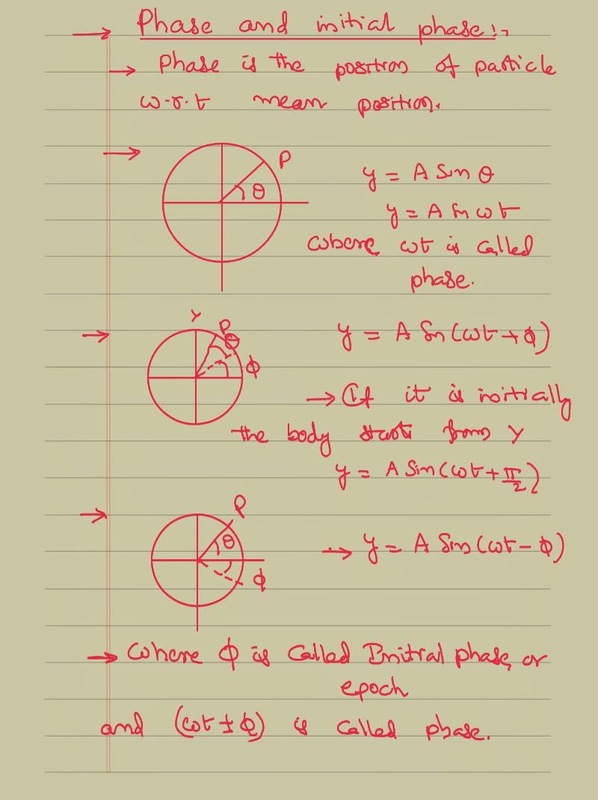 Phase is the position of the body in simple harmonic motion with respect to its mean position.Initial phase is the position of the particle with respect to mean position even before the starting of harmonic motion. Initial phase could be positive or negative mood depending on its position. 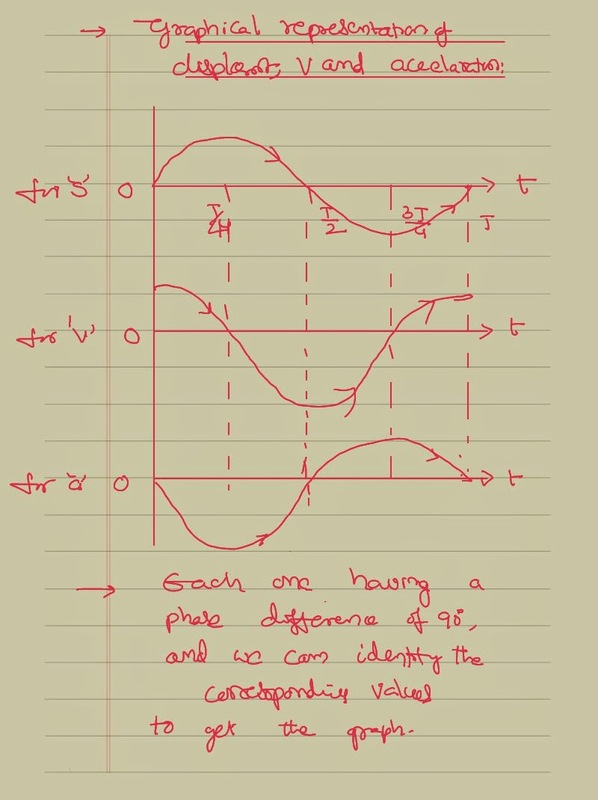 If the particle is initially towards the positive part of the extreme position then the phases treated as positive and vice versa. A body starts from extreme position who is in simple harmonic motion.What is the time taken by it to move from extreme position to half of its amplitude? 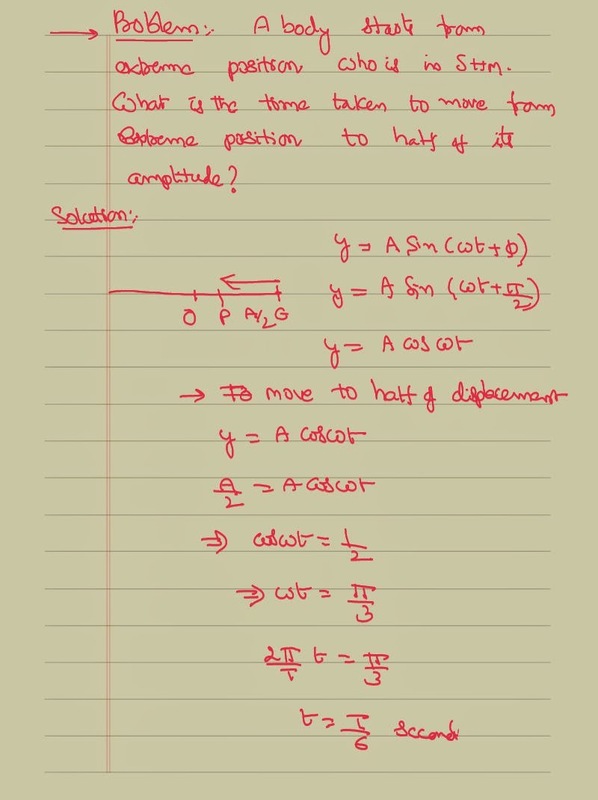 While solving this problem we have to consider that the body is having some initial phase. Being it is starting from the extreme position it is having a initial phase of 90°. Correspondingly the equation of the displacement can be modified as shown below.